In the past decades, Model Order Reduction (MOR) has demonstrated its robustness and wide applicability for simulating large-scale mathematical models in engineering and the sciences. Recently, MOR has been intensively further developed for increasingly complex dynamical systems. Wide applications of MOR have been found not only in simulation, but also in optimization and control. In this survey paper, we review some popular MOR methods for linear and nonlinear large-scale dynamical systems, mainly used in electrical and control engineering, in computational electromagnetics, as well as in micro- and nano-electro-mechanical systems design. This complements recent surveys on generating reduced-order models for parameter-dependent problems (Benner et al. in 2013; Boyaval et al. in Arch Comput Methods Eng 17(4):435–454, 2010; Rozza et al. Arch Comput Methods Eng 15(3):229–275, 2008) which we do not consider here. 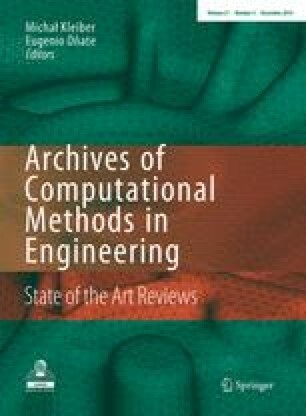 Besides reviewing existing methods and the computational techniques needed to implement them, open issues are discussed, and some new results are proposed. We would like to thank Tobias Breiten, Heiko Panzer and Thomas Wolf for reading a draft version of this manuscript and providing various suggestions for improvement. Al-Baiyat SA, Bettayeb M (1993) A new model reduction scheme for k-power bilinear systems. In: Proceedings of the 32nd IEEE conference on decision and control 1:22–27. doi: 10.1109/CDC.1993.325196.